Escape rooms seem to be around every corner these days. 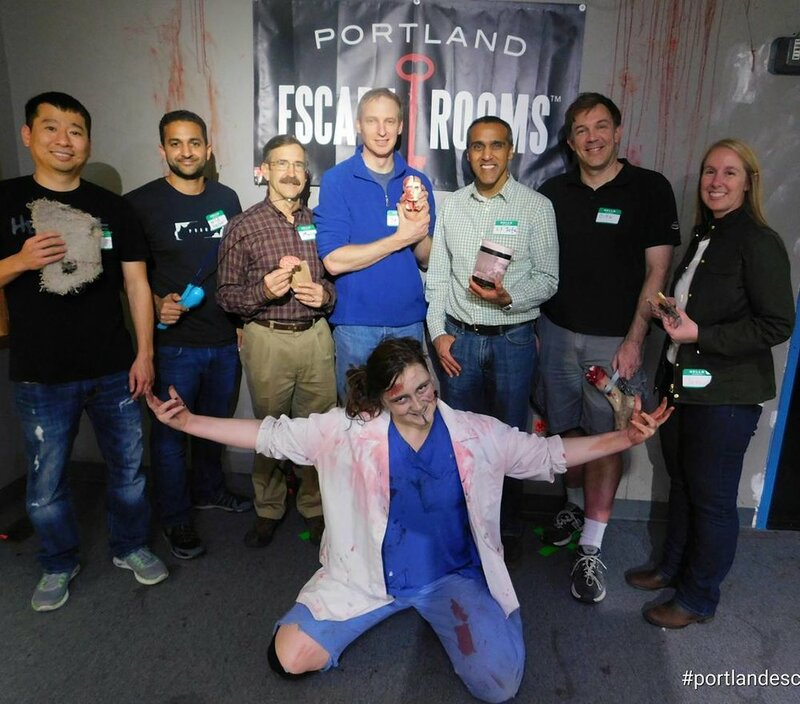 Why choose Portland Escape Rooms for your next team building experience? 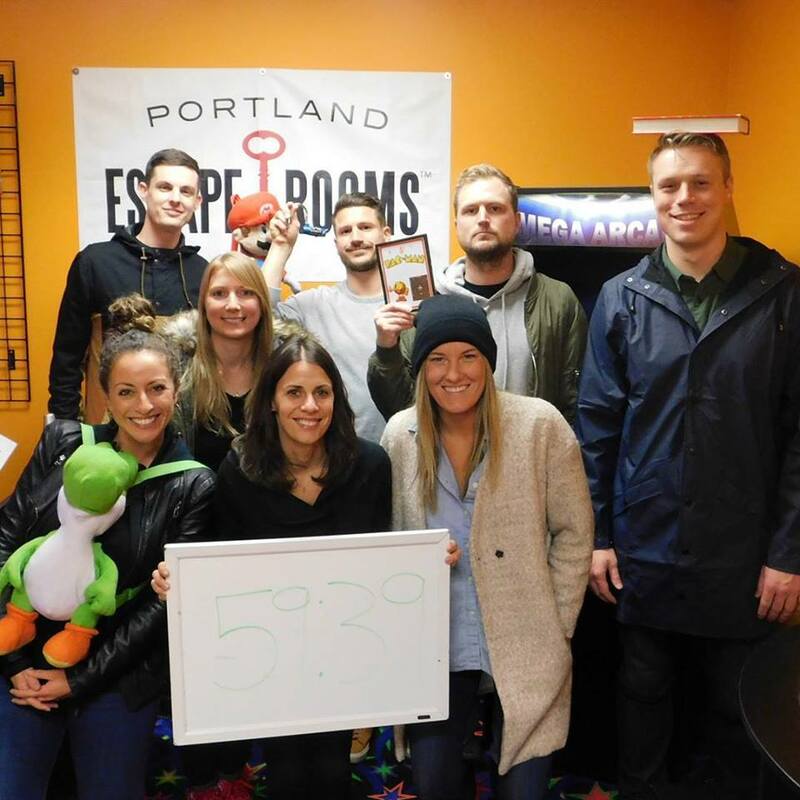 Largest Capacity: we are the largest escape room company in the Portland area. A maximum capacity of 61 participants in any special event means your whole team can play across multiple rooms and all finish at the same time! Emphasis On Team Building: our rooms require concentration, communication, critical thinking, listening, organization, composure, time management, and teamwork. Your group will be challenged to work together and think creatively to escape! Private Events: we work with you and your timeframe to create special events just for your group. These events are not open to the public to book, so you’ll be sure to have the place to yourself! When Can I Book A Special Event? We can host special events Monday-Friday! Which Rooms Should I Choose For My Team? We offer five unique rooms with immersive themes and can run any combination of them simultaneously. For more thorough description of the rooms, please visit our room pages. * There is a $50 Additional Players fee for expanding our maximum capacity where applicable. This fee is per event and not per player. Please fill out the form below, including group size and contact information. Please be sure to provide the easiest way to contact you–we will reach out if you have questions about your booking, or if your first choice of date or time is unavailable. Once all the details have been worked out, your event will be created, and you will receive an email with a link to your event booking page. Follow the link and complete the booking process. We require payment at the time of booking. We do not offer discounts for special events–all special event bookings must pay full price. Interested parties must have a minimum of 6 players (per room booked) in order to book a special event. Please be sure of your event date and time. Once your event is created, there is a $10 per person reschedule fee if you need to move to a different date or time. You must complete your booking at least 24 hours before your event start time. We reserve the right to cancel your event if we do not receive payment 24 hours in advance of the start time! Groups must arrive 10 minutes before scheduled event start time in order to sign our waiver, use the restroom, and go over the tips and rules of the room. For larger groups, it is helpful to arrive with your team already split into groups–have an idea of which room each player will be participating in! There is a 5-minute grace period from event start time if your group (or part of your group) is running late. After that grace period, time will be deducted from your event, up to 30 minutes. If you are more than 30 minutes late to your event, we will cancel it or reschedule you for a different date ($10 per person rescheduling fee applies). We do not refund events cancelled due to group tardiness. We cannot admit latecomers once the room door is locked and time has begun. Please make sure your entire group is on time! We do not refund unused seats.